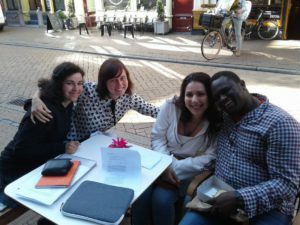 Summerschool 'What about the Family' was a great succes! 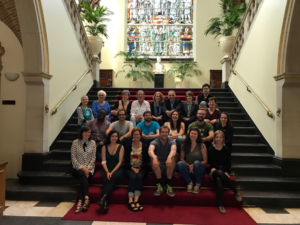 In the week of 20-26 August the Summerschool ‘What about the Family’ took place at the Academy Building of the University of Groningen. ( see http://www.rug.nl/education/summer-winter-schools/summer_schools_2017/what_about_family/). 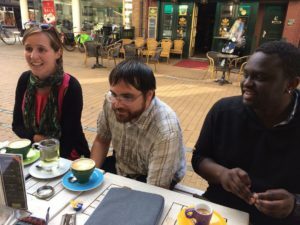 The Summerschool explored new theoretical and practical approaches to address the challenges posed by responsibilities generated by new forms of healthcare and social care practice. In particular, we examined the significance of people’s key relationships (such as with family and community), and how people deliberate and decide about their responsibilities. Research questions and themes to be addressed include (1) what ‘family’ means; (2) why families matter; (3) negotiating responsibilities; (4) familial roles in decision making; and (5) justice within families. 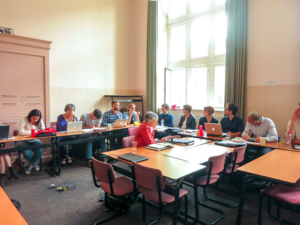 Lecturers were Prof. dr Jackie Leach Scully, Newcastle University; Prof. dr Veerle Provoost, Ghent University; Dr. Ulrik Kihlbom, University Uppsala; Dr. Simon Woods, Newcastle University; Prof. Jamie Nelson, State University Michigan; Prof. Hilde Lindemann, Michigan State University; Prof. dr Christian Munthe, University of Göthenburg; dr. Kristin Zeiler, University Linköping; Dr. Katharina Beier, University of Göttingen; Dr. Sabine Wöhlke, University of Göttingen; Prof. dr Marian Verkerk, University of Groningen. 16 students applied for the Summerschool. 14 students were PhD Students and 2 of them already had a doctorate. Students had a diverse background: Philosophy, Medicine, Clinical Psychology, Antropology. Students were from Europe ( UK, Germany, Belgium, Sweden), USA and from Australia. The Summerschool has been rated quite high: 8,7. No one rated the Summerschool below 8 and the highest was even a 10. The Summerschool was sponsored by the U4 Network. Lecturers from Ghent, Uppsala and Göttingen received travel and hotel reimbursements. Two students from Ghent were sent in by the U4 Network.